Rangoon’s Hummingbird, a new restaurant in Lanmadaw Township, may still be a bit rough around the edges, but the fare is well refined. “We hope you don’t mind a bit of construction,” said the pleasant female voice on the other end of the phone. I paused to wonder whether she knew I lived in Rangoon. If the threat of digestive mayhem isn’t enough to dissuade me from eating at any number of street side stalls, then there’s no way some bare walls and some plastic sheeting would keep me from visiting the much buzzed about Hummingbird, in its mosquito-heavy, pre-grand-opening iteration. Hummingbird is so named after the delicate creature known for its rapid wing movement, often found in South America. 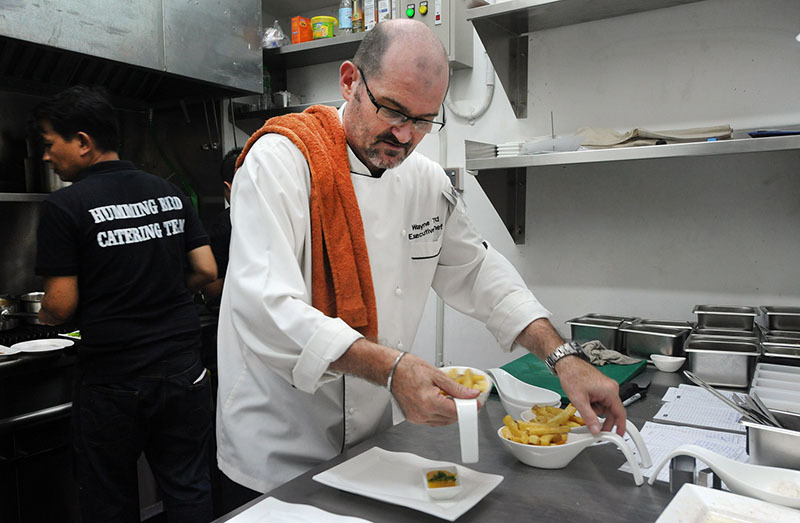 When Chef Wayne Third dreamed up the menu, he was most definitely doing so in Spanish. 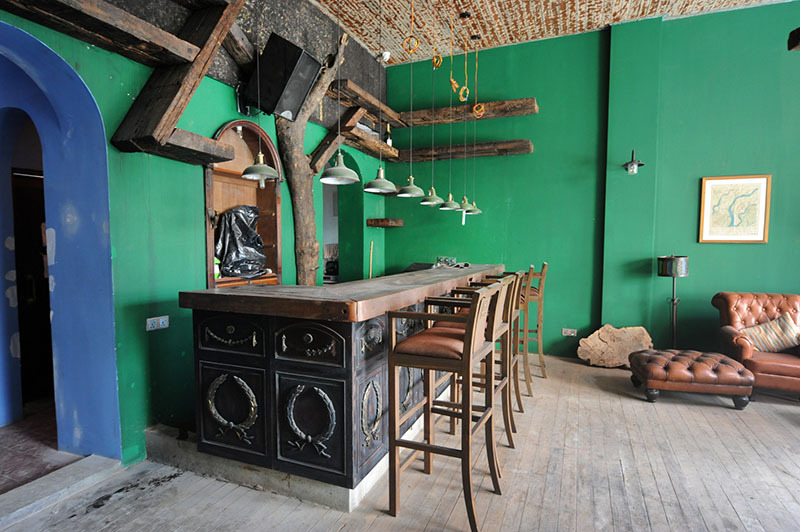 I can just picture the slender Kiwi chef in dream land, traipsing all over Latin America, taking a little guacamole from here, a little chimichurri from there, and re-creating traditional dishes using local Burmese ingredients, along with a US$26 imported steak or two. 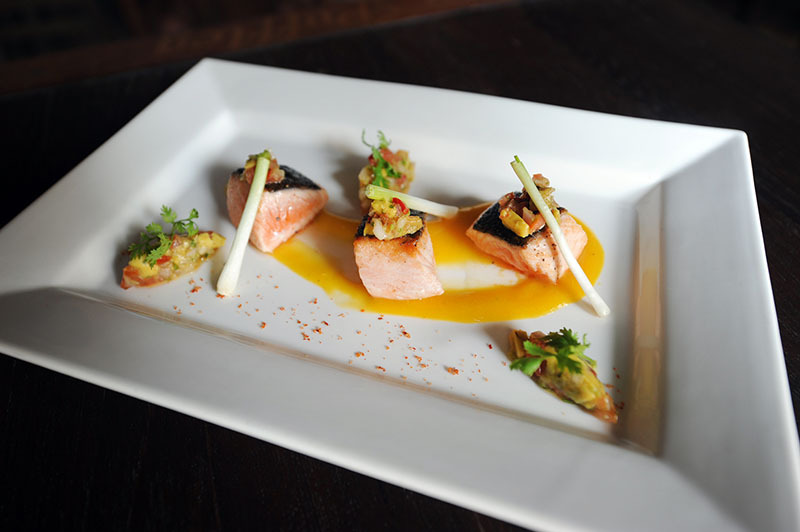 The menu covers everything from empanadas to ceviche, along with some creative pairings, such as salmon cubes served over a mango puree and topped with green onion. Third has been “cheffing”–as he likes to call it–for 37 years in places as diverse as Zanzibar and Belize, and as much as he loves different flavors, it all comes down to keeping things simple. 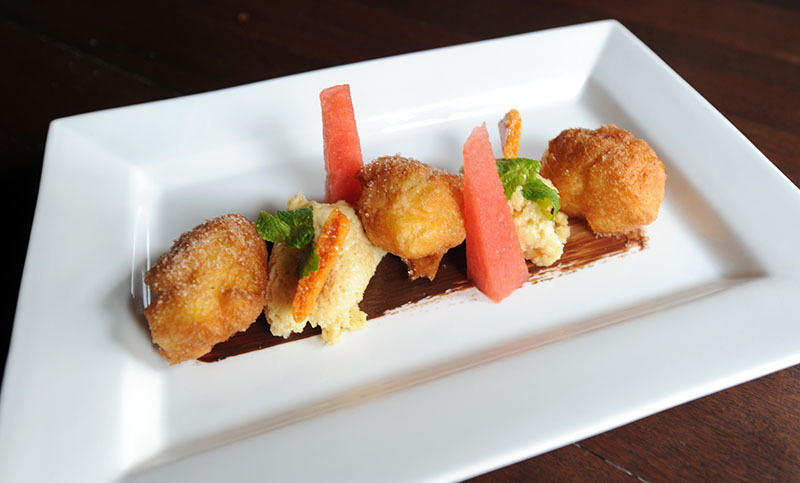 “I love the simplicity of food,” he says, and the dishes at Hummingbird excel when he heeds his own words. Take the ceviche ($7) for instance: classically done, initially sour, then moderately spicy, perfectly textured. In Third’s words “It’s a very simple dish to do, but it’s a very simple dish to get wrong.” Third gets it right, and his ceviche is not even the tiniest bit tough. Similarly, the sea bass ($14) is accompanied by a remarkable beetroot risotto. Presented on a bed of chimichurri, the taste is rich but at no point overpowers the fish, and the grains are creamy, never clumpy. Some of the most innovative pairings, however, fall flat. Steer clear of the prawn and watermelon dish adorned with random bits of dried coconut, which is reminiscent of the flavor of fruit chopped on a cutting board that hasn’t been properly washed, so you end up with garlic-tasting bananas, or in this case, fish-flavored watermelon. 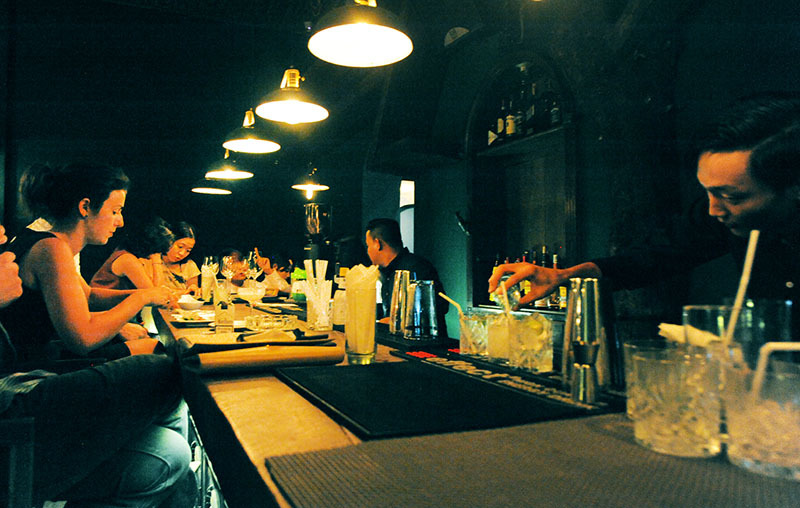 Overall, the cuisine is solid, the dishes are beautiful to look at, and the chef has his heart in the right place. And that place, of course, is dessert. Third can talk about Latin America for hours, but you can’t get the French pastry chef out of him. Hummingbird is already doling out sumptuous chocolate tarts and lemon meringue pies, and there are whispers of in-house sorbets in the future. Given that there was plenty of bare wiring when I visited, and that my tour of Hummingbird’s three distinct floors was romantically lit by an iPhone, I don’t want to say too much about Hummingbird’s ambience before it’s fully up and running, which is scheduled to happen on Apr. 29. 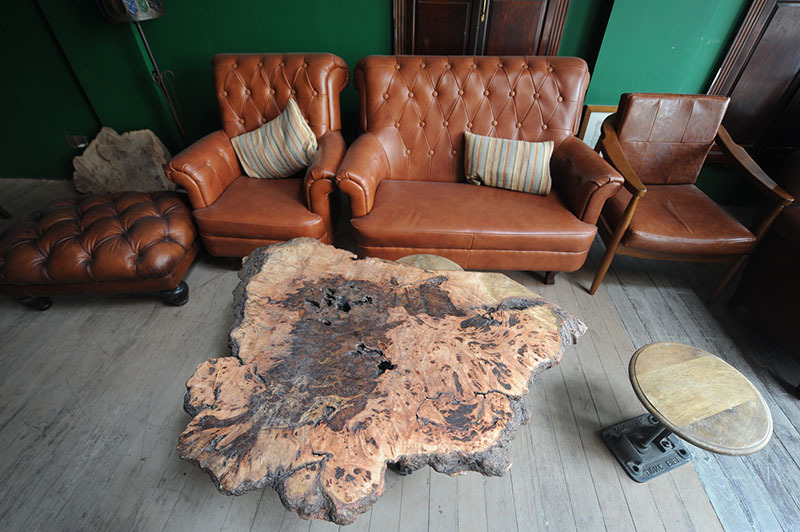 Renovators have gone out of their way to preserve and rediscover some of the building’s original characteristics, and the place promises some high ceilinged, dimly lit, leather sexiness, with a open rooftop patio with limitless potential and charm. If anything, I hope the grand opening will reveal more about Hummingbird’s character. 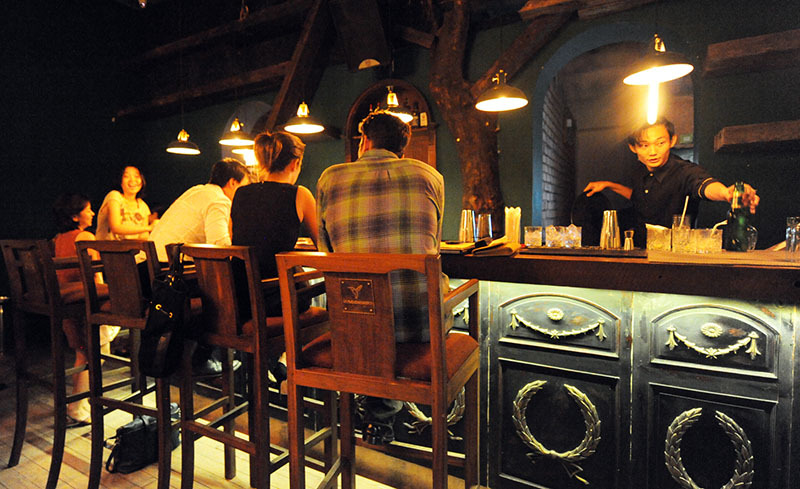 At the moment, it seems like they’ve taken an amalgam of Rangoon’s existing successes–the font and style Port Autonomy’s menu, the ginger beer and vodka-based cocktails that made Union such a success, and the dark, wooden and leather furniture set atop colonial-era rescued tiles of Gekko–and put them all under one roof. 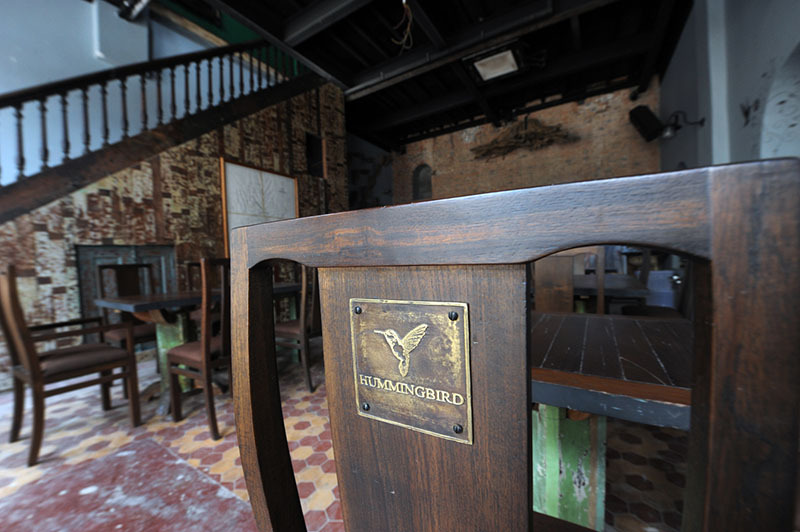 It may just be a question of finishing the renovations, but I do have to believe there’s more than one winning combination possible in Yangon, and that a place like Hummingbird can arrive at that magical combination of delight and surprise, both in and out of the kitchen. 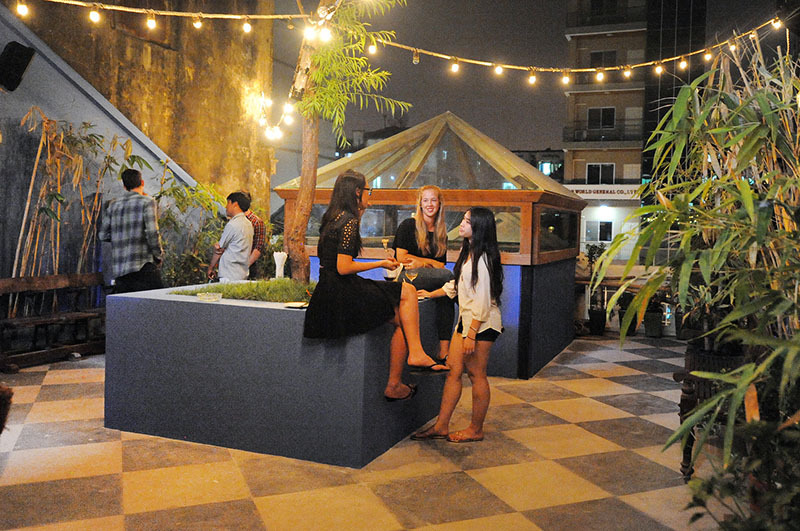 Hummingbird is located at 76 Phone Gyi Street in Rangoon’s Lanmadaw Township.